Victoria Z. 's Kenzai Chisel program, Chisel | Apr 22 2019, starts in 2 days. 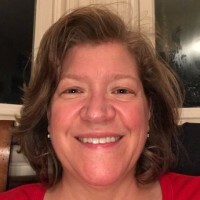 For the last week I have been very sick and am just now getting to my final blog post. I have had mixed emotions throughout this process as I gained 5 pounds almost immediately on changing my diet. That was a tough way to start! But now on 90+8 days I see I have made progress. My belly definitely has gotten smaller, my arms are more toned and my posture is so much better. Even though I have only lost 4 pounds over my starting weight. I think the biggest change is from the diet. Eating smaller meals throughout the day is something I have never had success with before, but this seems to be working. Even being sick the last week I can tell my body is continuing to lose weight. I wore some pants yesterday I been able to fit into for a year. It's been hard for me to let go of the scale and the measuring tape ... and trust the process. Day 80 seems like a really big number! But for me the next 10 days may be the hardest!!! My daughter is out of school on spring break this week and we are going to Napa wine tasting tomorrow and Friday. Do small sips count? Then next week I am traveling with my high school kids on college tours in Southern California. Taking lots of snacks and hopefully I can keep the diet under control. Although I may go off the rails with the wine tasting for the next two days! My daughter made some homemade snickerdoodles yesterday and I decided it was time to use my indulgence. Having gone without dessert for so long, those were the best cookies I have ever had! I went on to a parent social for my daughter’s school and allowed myself two glasses of wine as I was not driving. Only problem was my body couldn’t handle it! I was quite tipsy 🥴 at the end of the night (and yes I did count correctly!). Today my head is not so happy with me. Normally would have taken 4-5 glasses of wine to have this impact on me. Guess I am turning into a lightweight in more ways than one! My stamina has definitely increased as a result of the program. And my body is so much stronger. Enjoy the pic from the view at the top. Another week down. I am feeling comfortable with the diet. Although workouts are harder, I can do it. Had a cold over the weekend, but managed to miss only one day of workouts. Just trying to stay focused and positive. Please don't bother to read this, I just needed to vent. I am a very positive person. It is very difficult for me to write a blog post like this one and my last. I have figured out the diet portion of this program. Every few days I make a big sauté of all sorts of mixed veggies. I either mix it in with eggs or have it with whatever lean protein is left over from the family's dinner the night before. For dinner, I cook a healthy meal for the kids and then sauté my apples and add in egg whites and eat it with everyone else. The hardest part for me is remembering to eat the snacks ... especially the night snack. When I say I am 95% complaint, it is because I often forget that snack because I am simply not hungry. The exercise I can handle. Today the jump rope was surprisingly easy for me. While V-ups are a challenge, I made it through the workout just fine. This is SO frustrating. I can tell myself all the things we are supposed to tell ourselves, but when I see that we are 2/3 finished, it makes me even more frustrated!!! This weekend was a real struggle. While I can feel my pants a bit looser the results do not seem proportionate to the level of effort. I am working really hard and sticking to the diet probably 95% of the time. I am doing the workouts. But am hoping for more results. I keep telling myself to be patient that the weight did not come on overnight and it won't come off in a few weeks. My motivation is severely dragging. Posting a pic of myself, hubby and our 8 year old Caroline at the top of the mountain while skiing last week. If you zoom in you can see the beautiful Lake Tahoe in the background. I am telling myself that my increased fitness is worth the effort. I just scheduled a vacation to my favorite beach in Florida for my 50th birthday in June. Oh how I would love to be down a few sizes and have to buy new bathing suits! 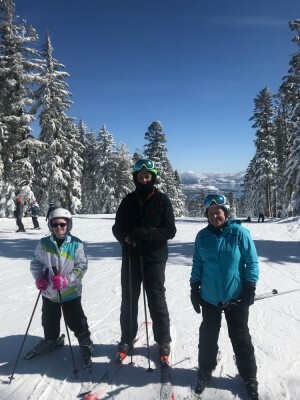 Just got back today from skiing with the kids in Lake Tahoe. I had prepped all the food before hand, so sticking to the diet was really easy. Had to rely on protein bars for snacks sometimes during the day instead of fruit. But overall I was able to stick to the diet pretty well. Big difference I noticed was in my stamina skiing. Normally by the end of the day of skiing, my shoulders and back are starting to ache. I skied three straight days with no problems whatsoever. All the workouts have really strengthened my back. The problem I had is that my ski pants kept falling down. I had to rig up a belt to keep them up. That is a problem I can deal with. Will get up a new pic soon. My weekend retreat was phenomenal. It was a wonderful spiritual retreat on the beach in Pacific Grove CA ... one of the most beautiful places on Earth! I did ok with my diet, but being truthful I did enjoy a glass of pinot noir beside the fire on Saturday night with friends. But just one not my usual two or three. I did lots of walking on the beach, but didn't get in my full workouts. I felt like this was the best time of the year for me to commit to this program, but I have to realize that my life is full or near constant interruptions. So I have to learn to navigate them. 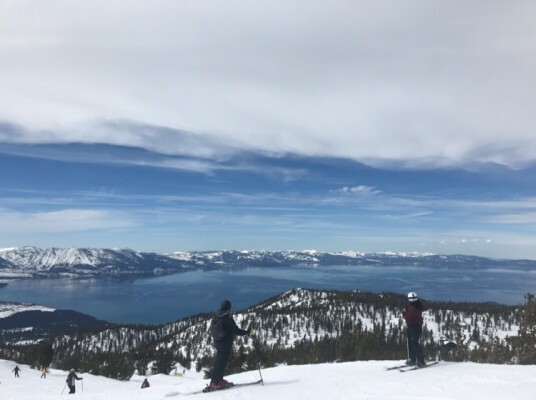 This week will be full of prep to get myself and the kiddos ready for a ski trip to Lake Tahoe next week. I am not afraid of the trip, cause I will get tons of exercise. But having the weekend interruption really makes me aware of how I have to stop and take the time to get in the snacks. I just try to keep a couple of pieces of fruit on me at all times! I fell off the wagon with both diet and exercise this weekend. But in doing so I learned some key lessons. Amazingly if I don't carve out time for my workout, no one else will. Saturday I had a busy day and kept thinking I would find a few minutes to sneak in a workout. Believe it or not, it didn't happen. I knew this already, but I need to put my workout on the schedule and plan it ahead. I know my weekends are busy, this is nothing new. Hard as it seems to be sometimes, I have to learn to make myself a priority. As a mom of 5 it is so easy to put the kids or my hubby first. Incredibly, they WANT me to put myself first. It is just hard to do. But not impossible! As long as I am at home this is easy. My kids are even getting into my diet. The biggest problem I am having is cooking enough food so that I have leftovers for ME for the next day. This morning one of my kids took the leftover Brussels sprouts I was going to eat for breakfast. I tell myself this is a good problem to have. Today I am planning out what I can have as "treats" for a Super Bowl party. Was thinking about cauliflower buffalo bites, crispy baked artichokes and maybe baked pears for something sweet. What is everyone else planning? Happy weekend! Hardest for me, as weird as it sounds is eating snacks. For years I have trained my body not to eat snacks. It doesn't understand why I am eating in between meals. It is hard for me to remember to eat them and I find that I almost never remember to eat the last snack. So I have started eating a piece of fruit after we clean up the kitchen after dinner. All in all, now that my traveling is over and we are back to normal schedule, I feel great and the diet is actually less strict than my usual. So happy that my back is continuing to improve. Time permitting I hope to get a massage today which always helps. Did my Kenzai workout and waiting now for a friend to go on a long walk. Before I would have only done the walk! 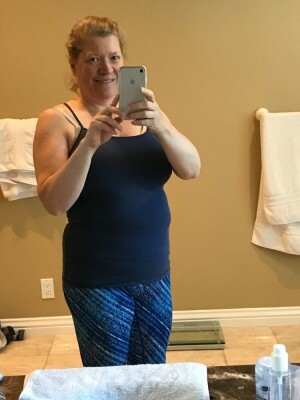 Diet is pretty easy, last night we had a blowup of a night as I got home late from a dr appt with one of the kids, but thankfully had enough leftovers in the fridge that I didn't eat the frozen lasagna hubby heated up for the kiddos. Have been enjoying the fruit. I normally eat a lot of veggies, but not a lot of fruit. I feel like I am constantly eating, but the fruit ... especially the local oranges ... is so yummy!